A new way to experience race day! Why race alone when you don't have to? Share race day with your supporting family and friends! Races offering RaceJoy are providing the most advanced race day experience available today! 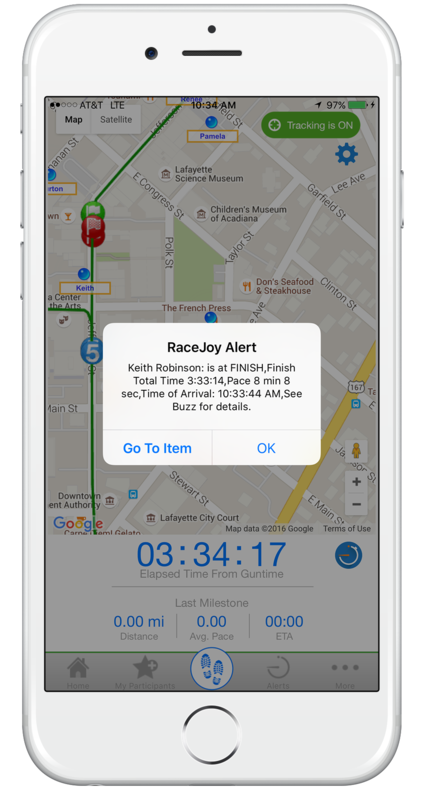 By tapping into the power of your smart phone, RaceJoy delivers real time performance information and the ability for family and friends to show their support from around the world! There is no charge to use RaceJoy as the interactive race day features are provided as part of your race day experience. Make sure to share your appreciation to race organizers and sponsors for their providing of RaceJoy! Track up to 50 participants live as they travel the official course! This is not an estimator and is based on the actual position of the participant's phone. Includes NearMe alerts and handy MeetUp feature. Receive progress alerts for yourself and others as you cross milestones along the course. 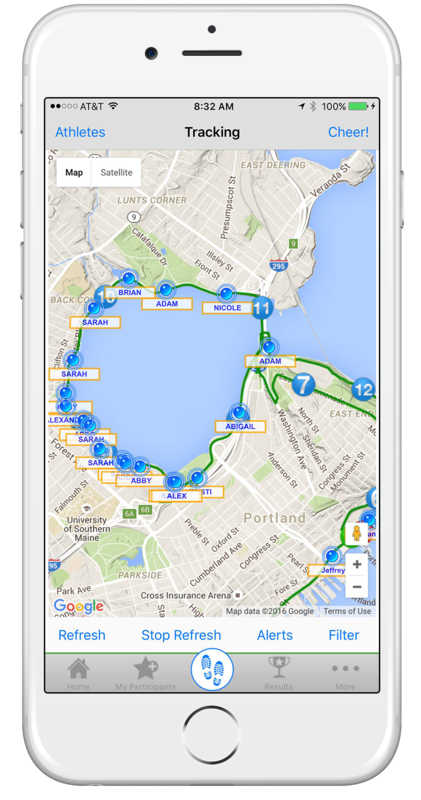 Typically, alerts are sent at EVERY MILE and include location, pace, elapsed time and estimated finish time. 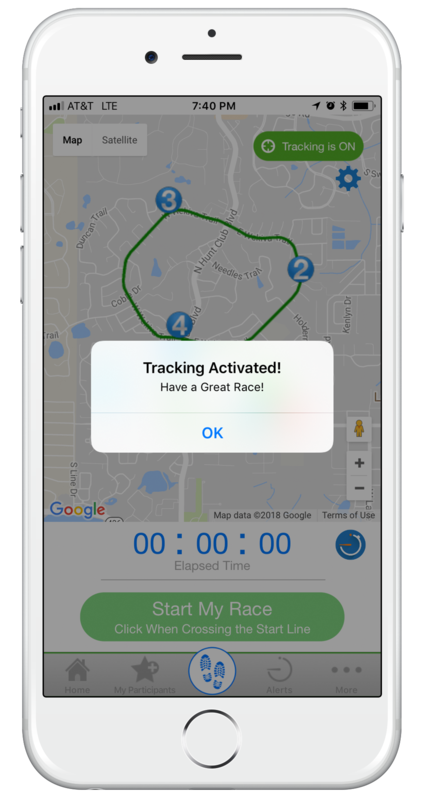 Send motivational, pre-recorded audio cheer clips or personalized Text-to-Cheer messages to race participants leading up to, during, and after the race. Scored results are available at select races. When available, a results button will appear. Check out RaceJoy's Overview to learn more about the interactive race day features available! Doing a race and want to use racejoy? If you are interested in using RaceJoy and are not affiliated with the race organization, feel free to send a letter to the race director to let them know you would like to use RaceJoy. Here is a sample letter you can send to race organizers.